Ted Talk – Is Binge-Watching TV Good For You? Go to the link below and watch the Ted Talk. Then respond to the questions posed below. These exit slips will be collected at the end of class. Category: Health - 7 | 1 Comment on Ted Talk – Is Binge-Watching TV Good For You? Today we are going to talk about the ancient Egyptians and their tireless quest for immortality. Watch the video below and complete the questions provided in class. Here are the questions from class. 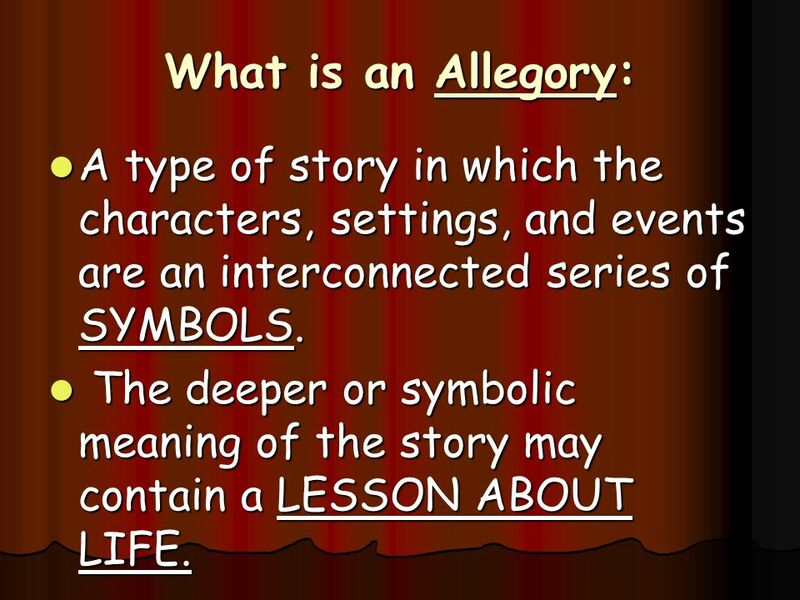 Today we are going to talk about Symbolism and Allegory. Soon we will be starting a class novel study on “The Little Prince” by Antoine de Saint-Exupéry. To prepare ourselves; today we will be studying symbolism and allegory. See the powerpoint below. Students are to listen carefully during the lesson and then complete the tasks on the final two slides for submission no later than 9 am tomorrow. This week we are revisiting fractions with the grade 7’s working on adding and subtracting fractions and the grade 8’s working on multiplying fractions (even with mixed numbers). The Grade 7’s are working on assignments 5.5 and 5.6 and will complete #’s in assignment 5.5 and #’s in assignment 5.6. click on the link for a copy of the pages of the text below. The Grade 8’s are working on assignments 3.3 and 3.4 and will complete #’s in assignment 3.3 and #’s in assignment 3.4. click on the link for a copy of the pages of the text below. Here are some helpful videos from Math Antics to help you. If you could meet one person who would it be? Whats your favorite subject in school? Do you play any musical interments? Do you like school on a scale from 1-10? The lord of the rings or the hobbit? This week I am not at school as I have been fortunate enough have health professionals looking after me to make sure I am physically strong for my family. Meanwhile, my students have been hard at work making sure that I feel cared for in my absence. Yesterday, my wife came home from work at the school with a large basket full of hand-picked goodies that the students had personally selected to assemble and give to me. She told me of all the people who were asking about my well-being and wishing me well. As I listened to her tell me about my caring staff and students a tear came to my eye as it was readily apparent that my community supports me. Thank you to all who have asked about me, discussed things with me, and sent me well wishes. I especially send out a warm thank you to my exceptionally caring class of students. I miss being at work with you but strongly cherish the amazing people who you are. Receiving that basket yesterday assured me once again of how important my work with you is and how important our work together is in this world. You are an exceptional group of students that I am blessed to have in the classroom. I look forward to seeing you again next week. Watch the Ted Talk below and complete the attached assignment. What if I told you people are different in their own ways, and what if I told you that some people are born different than other people, would you make it a big deal? There is this man named Robert Hoge and he was born different. When he was born on July 23,1972, his legs were different; the right leg was only three-quarters the size of his left leg. In the hospital he was born, his mom and dad saw him but then Robert’s mom said ’’I wanted a normal baby because it is my birthday tomorrow, so take him away’’ and so the doctors took Robert and his mother was crying. When Robert’s mother was out of the hospital, she told all four of the kid’s she had a baby boy, but he was born different from them, so she said’’ do you want me to bring him home,’’ the kids said ’’yes,’’ so they went the next day. When they got to the hospital, they went to his room and said to the doctors ‘’we will keep him after all of the surgeries’’, so they were waiting for him to be done with all the face surgery’s. When Robert was able to get out of the hospital, the parents went to go get him and told the kids to be nice to him. Once Robert came home, he was happy to be home and was able to go outside for the first time out of the hospital.